Schematic representation of reservoir computing based on an optical network. 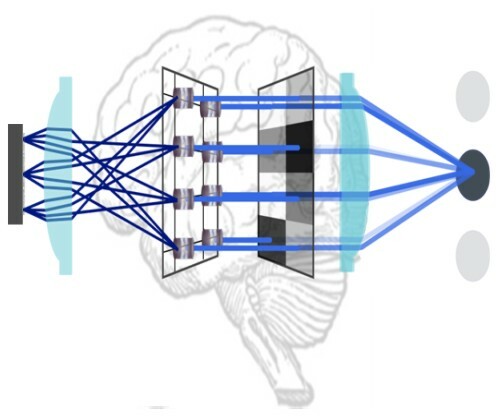 The main objective of this project is to implement Reservoir Computing (RC, a neuro-inspired information processing scheme) in an optical network of nano-structures. Its realization requires spectrally tailored quantum dot micropillar arrays (QDMPA) and diffractive coupling to establish all-optical networks including hundreds of such emitters. Our underlying interdisciplinary approach combines three recent concepts by bridging nanostructures to a macroscopic complex system which is utilized for powerful computation. 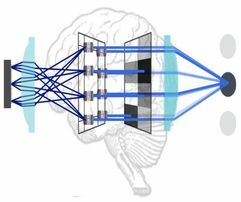 Namely, these concepts are RC as the functional concept, QDMPAs as the hardware platform, and diffractive coupling schemes for scalable optical networks to implement the complex neuro-inspired systems, capable of ultra-high speed information processing. It represents a unique opportunity to integrate these three concepts into a fully functional computing system with great potential in terms of performance, speed, compactness, energy-efficiency and future extensions to quantum machine learning.